The Gaetano Navarra Spring 2010 show at Milan Fashion Week featured its share of teetering models and, well, models who just stopped giving a damn about wearing their heels. 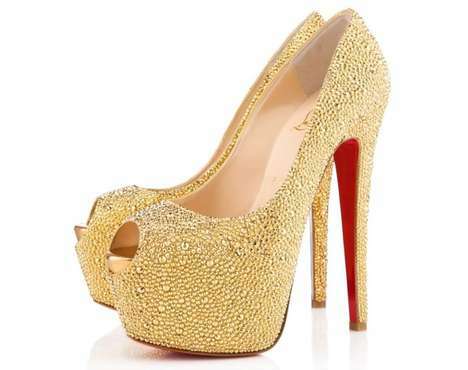 According to StyleList.com, two models embarked on the "ultimate walk of shame, striding down the runway for a few feet in teetering gold pumps before giving up." Yes, these models opted to remove their threateningly-high footwear to walk the rest of the runway completely barefoot. But that’s not all—the heels, which were too big on the models, were stuffed with cotton to fit, but as StyleList.com says, "that’s a recipe for ‘runway roadkill'."